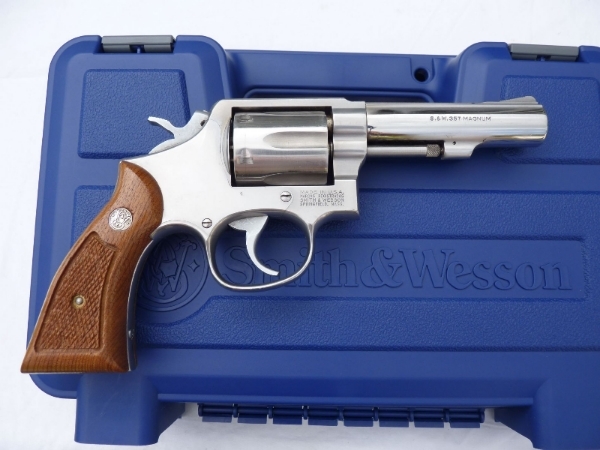 This is a Smith and Wesson model 65 double-action 6-shot revolver in .357 Magnum calibre. 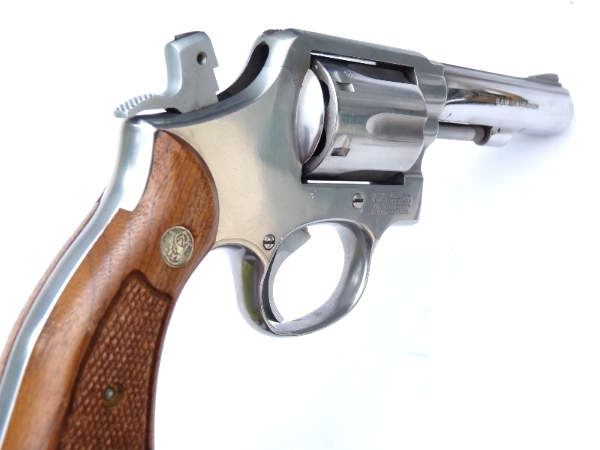 Built in solid stainless steel with a satin finish frame and cylinder, polished 4" barrel and hardwood grips, this is a very handsome revolver. 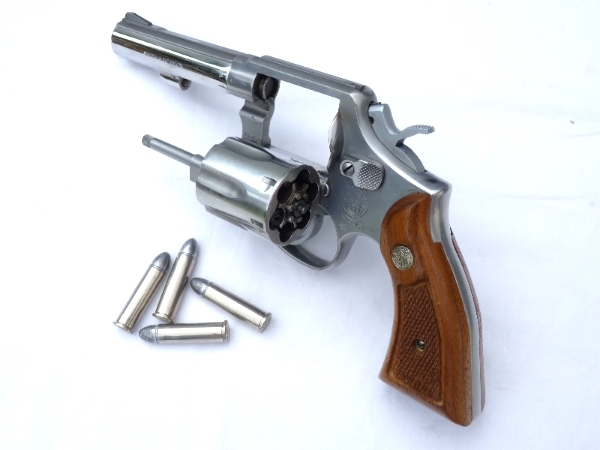 Produced from 1972 up until 2005, and based on the .38 calibre model 10 of WW2 vintage, this revolver serves in military as well as police roles. 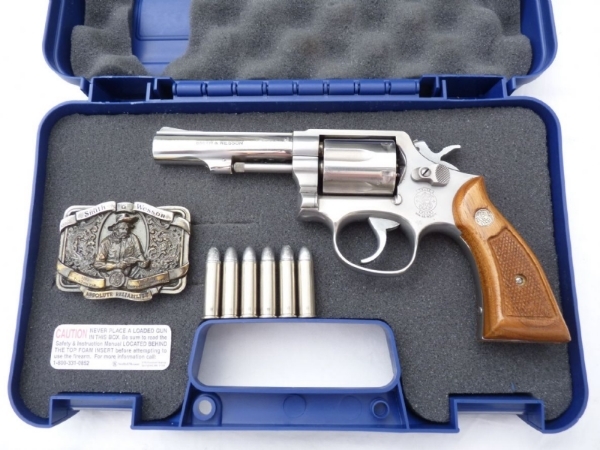 This example is in excellent condition, and come complete with a sturdy Smith&Wesson marked carrying case, a booklet of instructions for use and maintenance, as well as 6 inert .357 Magnum rounds with matching steel cases (brass cases available if preferred). Also included is a Smith&Wesson belt buckle. 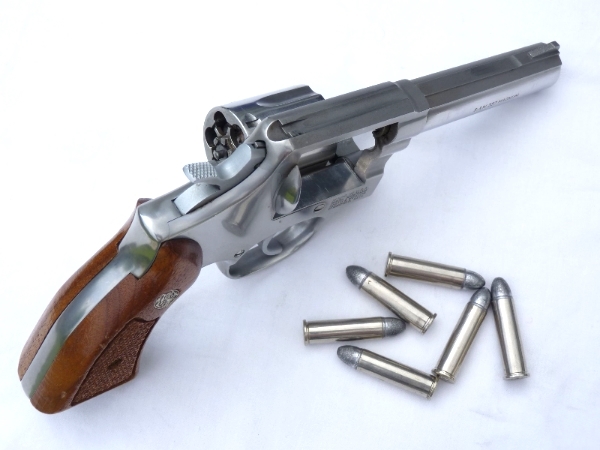 Able to be cocked and dry-fired, and field stripped, this revolver has a very tight and precise action. Deactivated in the UK to full UK specification with proof-house certificate.